We the U.K LOTTO wish to Inform you that your Lottery winning of Â1.000.000 (One Million Pounds Sterling) which you won on the U.K LOTTO April 2007 Award has been returned to us by our Lotto claims agent as unclaimed prize after their initial letter to your email address for your award claim was not successful. Note that all participants in this program were selected randomly through our Computer Ballot System, drawn from 85.000.000 internet users from all search engines. Your e-mail address was picked by the automated Computer Ballot System, which was programmed for this random selection. 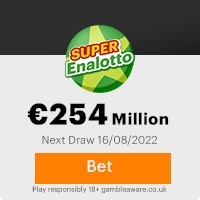 Your E-mail address attached to WINNER NUMBER 4, with serial Number: 7741137002 and drew the lucky numbers: 23-76-06-54-42-100, Ref No.UKL/56B-672GH/L and Batch No: 4583JL/WIN which consequently won in the 3rd lottery category. You have therefore been approved for lump sum pay of Â1.000.000(One Million Pounds Sterling) credited to file REF NO: UKL/56B-672GH/L. This is from the total prize money of Â8,800,000.00 which is to be shared among the international lucky winners in this category. These Draws are commemorative and as such special to encourage the use of Computers and Internet worldwide. No Ticket was sold for these Lottery award. Having returned your unclaimed award funds back to our treasury by our Lotto claims agent, we write to officially give you the last chance to claim your award. We advise you to contact our Claims Agent immediately upon receipt of this message by means of email or phone for more information concerning the verification, processing and payment of the above prize to you. You are hereby advise to keep your winning information confidential from the public, until you have received your cash prize. This is part of our security protocol to avoid double claiming and the act of hacking people off their prizes. Be advised to furnish him with the followings upon your contact with him. This Email with the Subject "RE:CONTACT MR.GILL MARTEN FOR YOUR UNCLAIMED PRIZE PAYMENT" was received in one of Scamdex's honeypot email accounts on Fri, 03 Aug 2007 06:05:30 -0700 and has been classified as a Generic Scam Email. The sender shows as joan@jmcdavis0.orangehome.co.uk, although that address was probably spoofed. We recommend that you do not attempt to contact any persons or organizations referenced in this email, as you may expose yourself to scammers and, at the very least, you will be added to their email address lists for spam purposes.